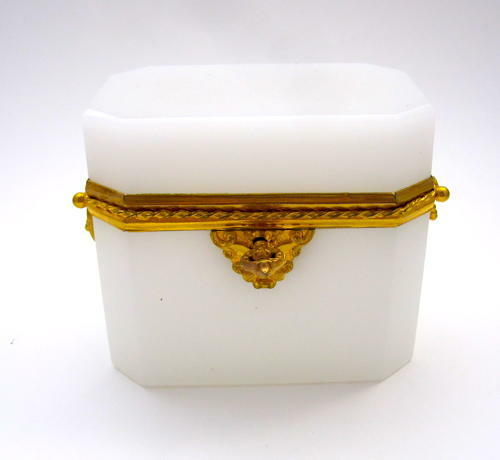 High Quality French White Opaline Rectangular Glass Casket Box with Beautiful Dore Bronze Mounts and Double Handles. The Mounts are Intricately Engraved with a Twisting Pattern. The Lock Plate is Embellished with Scroll Work. Includes Lock in Working Order.